Submitted by webmaster on 02/23/2017 - 11:11. It was 1162, when the Doge Michiel II won the rebellion of the Patriarca Ulderico di Aquileia followed by twelve rebels lords. 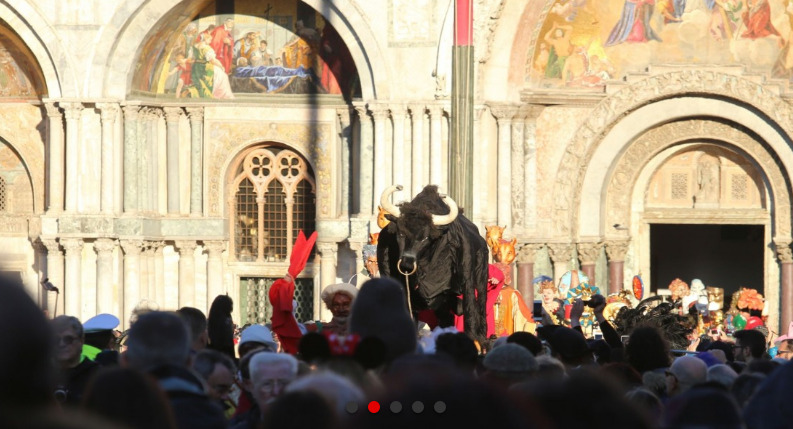 The battle was very cruel and, in order not to forget the event, the Doge ordered that every year the Patriarca had to give to the venetian people one bull, twelve breads and twelve fat pigs. 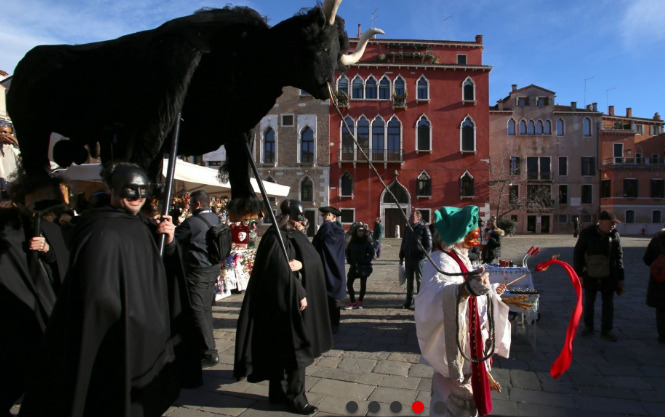 Thus, every year the bull and the pigs (alias the Patriarca and the lords) used to be brought in the main square and mocked by all the venetian people. 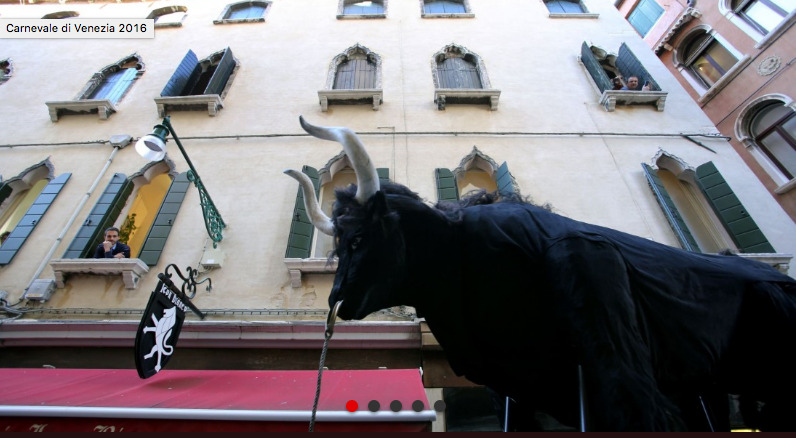 The event used to reach its climate with the cut of the bull head: it was usually so spectacular that it gave birth to the traditional way of saying ‘tagliare la testa al toro’ (to cut the bull head) which is used when somebody takes a definitive decision. The death of the bull was followed by the one of the twelve pigs and the meat used to be shared among the population. This event is recalled also this year and it is part of the list of shows of the Venice carnival events: it is usually held at the Campo Santa Margherita (if you want to be in the heat of the feast, here find our idea for a splendid accommodation) during the ‘giovedì grasso’ even if, after the show, it ends at the Piazza San Marco (do you prefer Piazza San Marco? See our proposal for your accommodation!) after a long parade through the calli of Venice. What makes the real difference between this show and all the Venice carnival events is that in the Bull events, all the masks tend to be the traditional ones: thus, the atmosphere gets very charming and it is amusing to see all the very beautiful dress, old fabrics, splendid hats and accessories…. save the date: this event is not to be missed!